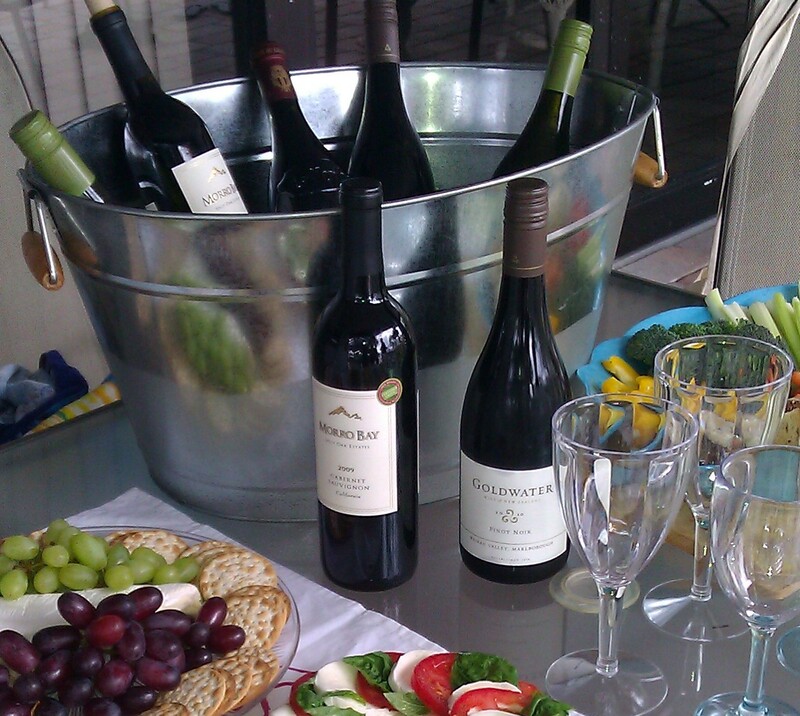 This past Earth Day, we had the opportunity to try 4 different wines, all green harvested and/or organic, thanks to our friends at Pasternak Wine Imports. Three of these wines were NOT officially labeled as organic, and one had the Lodi seal. Our reviews were as follows. Dashwood’s goal with all of their wines is to preserve the aroma and structure of each vintage. Fruit is kept cool during storage, and cold fermentation is used to preserve the flavor integrity of the fruit. This particular Sauvignon Blanc is kept in stainless steel tanks. Cold storage, cold fermentation, stainless steel-could these be used to reduce microbial growth, and lower the need to add excessive sulfites? We’re not experts in winemaking, but logic would lead one to think this very well could be the case. Dashwood’s Sauvignon Blanc is pale straw in color. With the slightest effervescence upon opening, it is fragrant on the nose, with flavors of gooseberry, grapefruit, star fruit and fresh pineapple, and a bright finish that lingers on the palate. 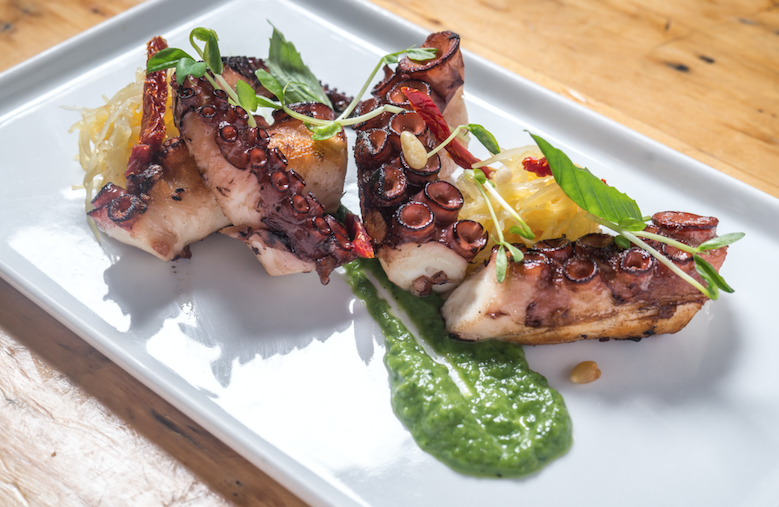 This wine is a perfect match for seared cod with spinach sauté, a chicken piccata, or a light cream of broccoli soup with lemon. 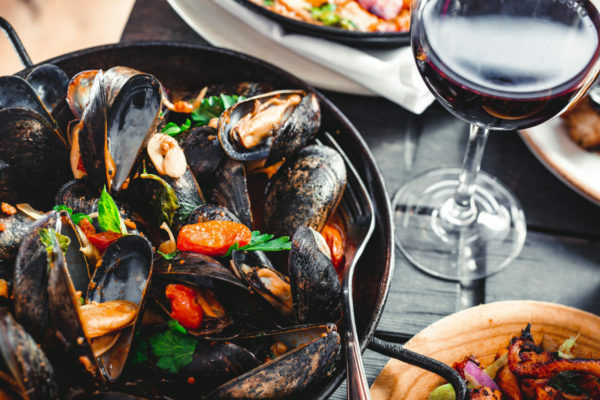 It would pair nicely with nearly any white fish, or a pasta primavera – anything that did not distract from the gorgeous nose on this wine. We loved this wine. 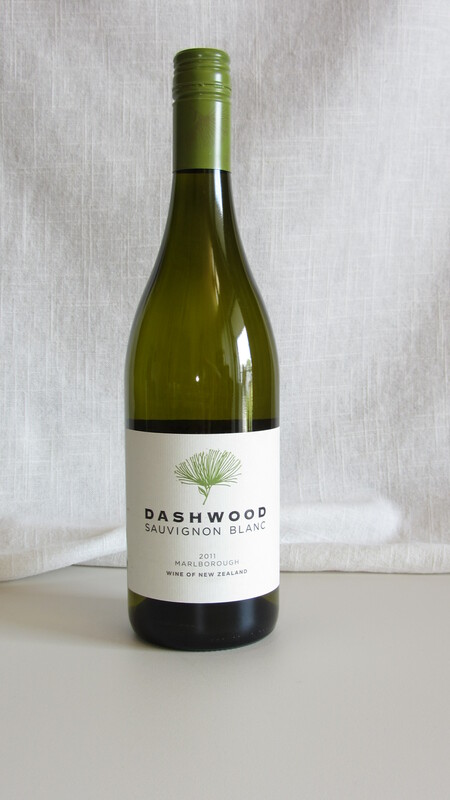 For the price, under $12 on Wine.com, we would buy a case of Dashwood’s 2011 Sauvignon Blanc, and serve it at every summer cocktail party. 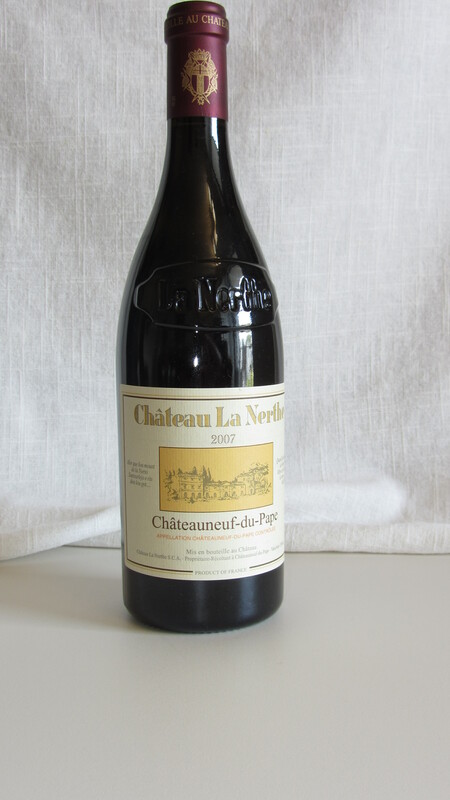 For those unfamiliar, Château La Nerthe is a high-end Châteaneuf-du-Pape producer, and only recently (2011) labeled its wines as grown with organic grapes-13 years after receiving the EU certification. Like many, we were unaware that this incredibly sought after wine fell into the organic category. This wine is perfect for spring and summer drinking, as it’s not a heavy red. After letting this Châteaneuf open up for about an hour, it poured deep ruby with gentle, purple legs. The nose was black fruits, currants and cherries, with a spicy, silky body traditionally found in very high quality French wines. Château La Nerthe reminded us of a great Rhône red, likely due to the terroir where these vines are cultivated-on a slope etched by glacial waters from the Alps, with deep roots into sand and clay. This wine called out for a rich chicken dish, with mushrooms, leeks, and more wine-perhaps a coq au vin, a game dish, simply braised New Zealand lamb chops with fresh herbs and garlic mashed red potatoes. Veal would also be a perfect match, with Emeril’s Veal Breast with Lemon and Pancetta recipe coming to mind. At the price, $52 on Wine.com, this Château La Nerthe 2007 would be more appropriate for celebrations or romantic dinners, but overall, the quality for this wine cannot be beat. We’d pick up a bottle or two and stow them away for a special occasion or a gift. Let me preface this by saying we tried this wine separately prior to our group tasting, as well as during. We loved this wine. Every single member of our tasting panel loved this wine. 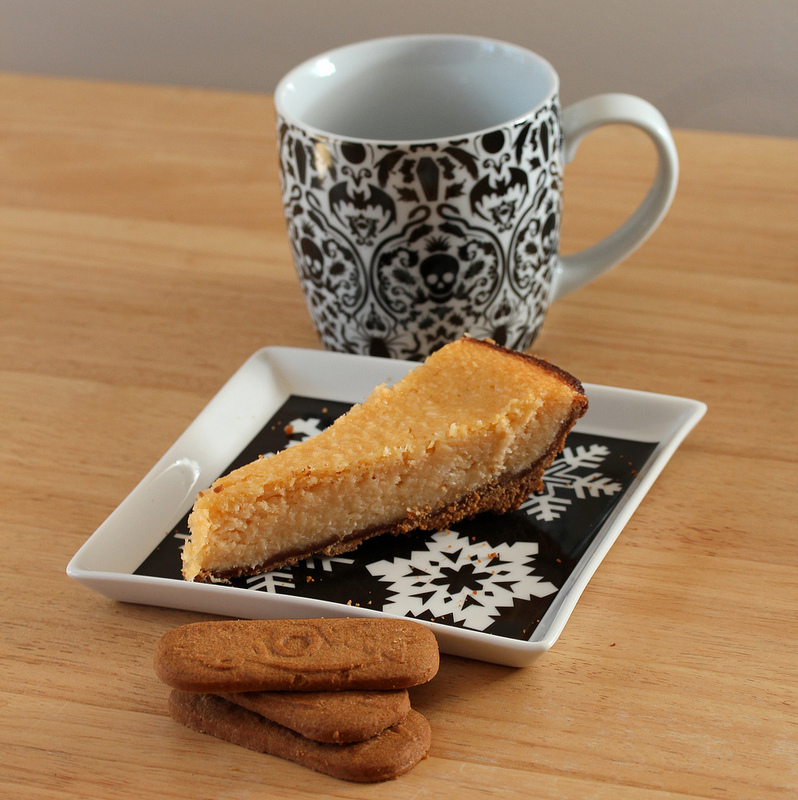 So yes, we’re a little biased. 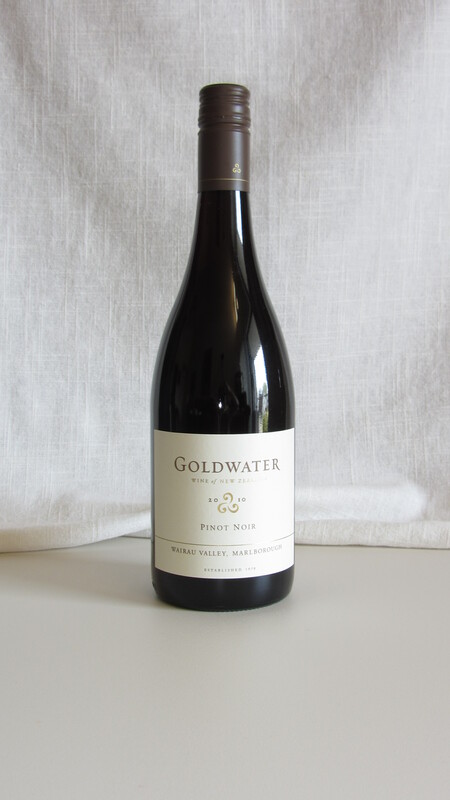 Although nearly impossible to find information about online, Goldwater wines are New Zealand Certified Sustainable, and this young vintage showed strong in a category (pinot noir) that has recently been less than impressive categorically, in our opinion. Upon first inhale, we had an immediate visual of the ground these grapes were grown in. You could smell earth and peat of the terroir, with flavors of raspberries, black cherries and spice bursting onto the palate. Color was a deep ruby, with notes of dark chocolate and cocoa coming through as the wine opened up. The old and new oak barrels Goldwater Pinot Noir is aged in came through softly, and it ended with a rich, well-rounded, elegant finish. Veal would again be a perfect match for this wine, but a simple supper of parmigiano reggiano, grapes or cherries, and a fresh crusty French baguette would suffice. This wine would be a beautiful addition to pair with pasta tossed with broccoli rabe, garlic, and spicy sausage. A cinnamon chicken with harissa sauce would also complement the spice in this wine, and likely pull out additional layers of flavor. Although trying to find this wine is initially difficult online, we’d recommend the search. At approximately $25 retail, this wine drinks like a Pinot twice its price, and would easily become an everyday drinker, as well as a perfect hostess gift. You can contact Pasternak Wine Imports to find out where to buy Goldwater Pinot Noir near you. Morro Bay Cabernet Sauvignon is sourced from several vineyards within the Lange Family estate in California. According to winemaker notes, the Lange Family has been farming in the Lodi appellations for four generations, dating back to the late 1800’s. 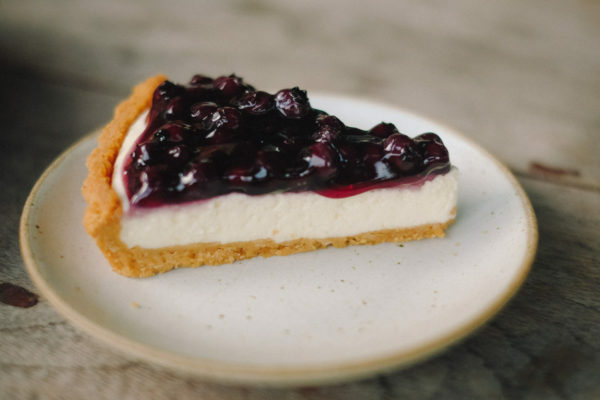 They incorporate green harvesting based on the berry set for a particular vintage, and use shoot removal and leaf pulling to further enhance flavor concentration. Although we were very excited to try an ‘official’ green, Lodi certified wine, we were very unimpressed with this ‘USDA approved’ Cabernet. The flavor fell flat on the palate, with our team struggling to pull out cherry, strawberry, black fruits, and light oak with spice flavors. This wine had a light body, no linger, no legs, and a weak finish that made us ask if we put it into sangria, how we could ‘plump’ it up. This wine could potentially make its way into a party punch, with added fruits and perhaps brandy to carry the palate further. 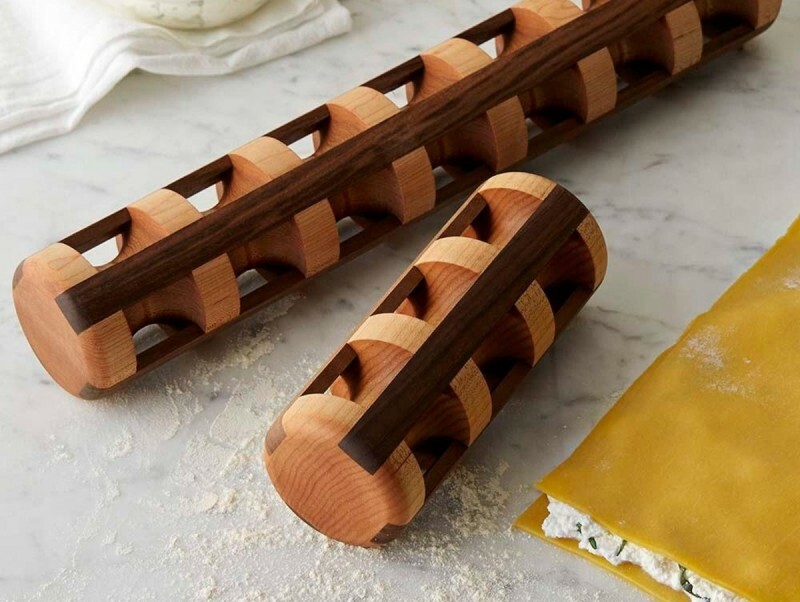 We thought of turning it into a reduction over chicken or adding it to pasta sauce. Perhaps with age, this wine will mature into a better vintage. 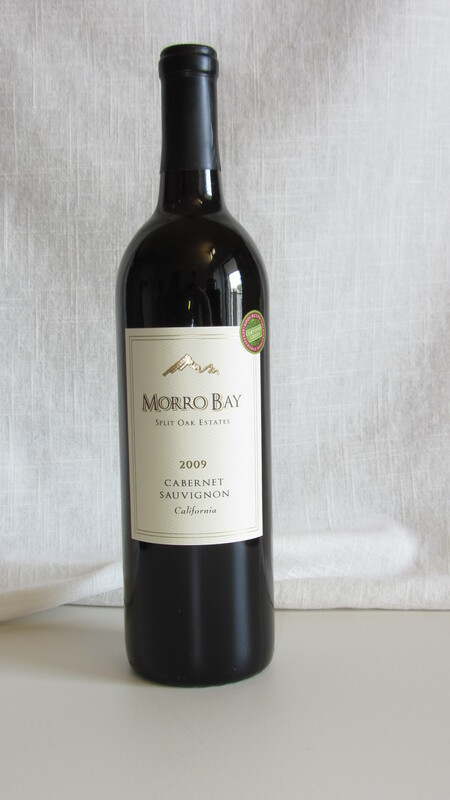 Although the Morrow Bay under performed on it’s own, it did stand up nicely in a red wine radicchio risotto dish later that week. Take a look, as well, at Los Vascos Grande Reserve Cabernet Sauvignon 2009. As a blend of Cabernet Sauvignon, Carménère, Syrah, Malbec, and under $20 on Wine.com, this highly rated blend is sure to please. Overall, our organic and ‘green’ wine tasting was a pleasant experience, but alas, a reminder that when it comes to supporting and understanding sustainability and green farming and food practices, the US can learn a lot from Europe. American wineries and brands have great potential, but to succeed, they need a system that takes into consideration the necessary ingredients that make the rest of the world’s wines great. Sulfites are not our enemy, and further exploration and education would benefit the USDA and regulators as we find ways to create a greener, more sustainable planet.